This cat shaped medicine bottle opener device will become your favorite opener! 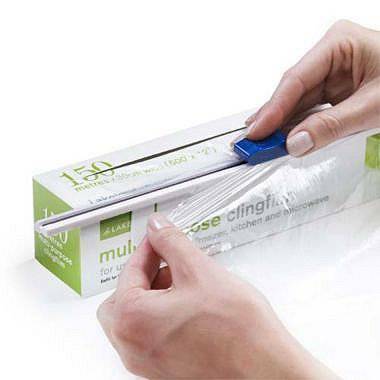 and even opens envelopes and slits packaging tape on boxes. The opener also has a magnet for convenient storage on your refrigerator. 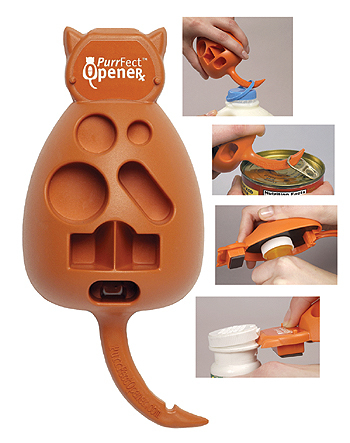 The PurrFect Opener is 6 inches long by 2.5 inches wide. The opener is of durable, tough plastic. It is quick, easy and safe. Instructions for each use are pictured on the back.